This topic contains 59 replies, has 14 voices, and was last updated by lawnor 3 months, 2 weeks ago. 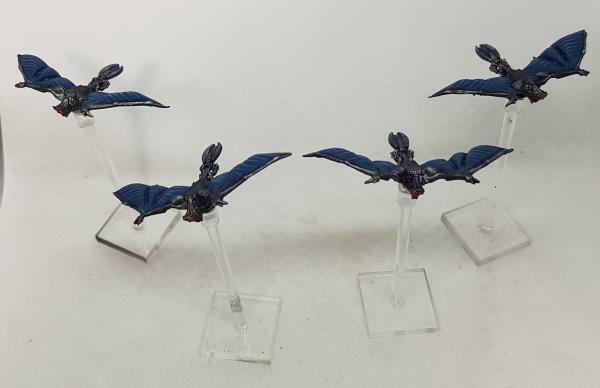 Scourge Vampires done for Dropzone Commander. Just Griffins left to go to finish my pledge. 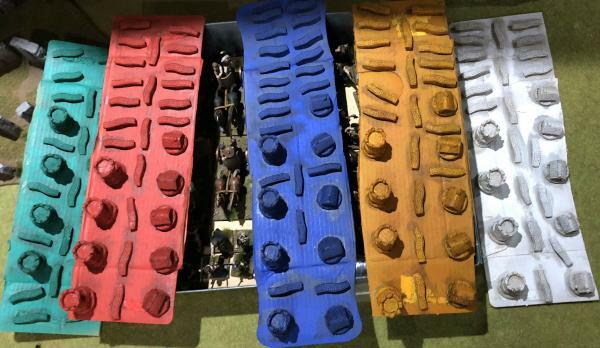 Gonna put back the Tharn until after they release the rest of the Tharn and paint them all at once. They don’t come out until Dec 21st. Not familiar with Dropzone Commander models BUT the highlights on the wings are only surpassed by the body detail . Beautiful. Some really great work from you guys. So inspirational. @lawnor nearly hit the final target too looking at the spreadsheet, well done indeed. So I’ve been busy painting away but I’ve also got a new job which is eating into my posting time. I’ve updated the spreadsheet and have 317/365 completed. I’ll post images of everything that is done here over the next couple of evenings but here is a small taster. 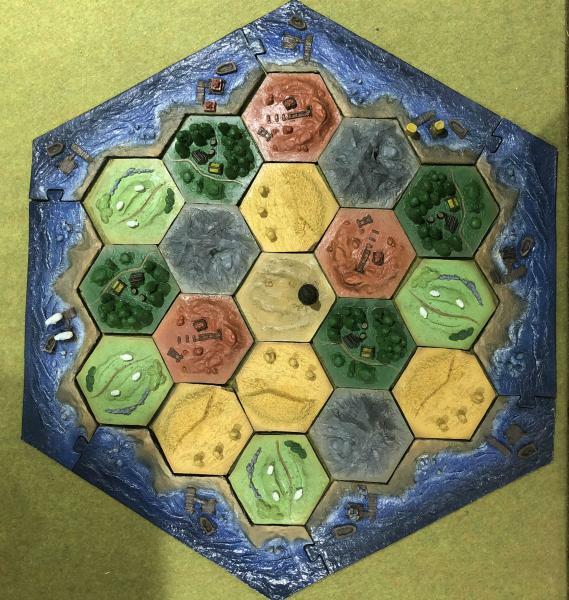 I’ve been working on a 3D Catan board my eldest son bought and then abandoned at my house, presumably in the hope I would paint it. Well I’ve finished it and he can have it for Christmas but the rest of you get to see it now. I did five sets of playing pieces as well, not such an impressive photo as they are still on the backing boards they were painted on. Wasn’t sure how to count them on the spreadsheet so in the end went with 4 castles or 5 houses or 20 roads = one 28mm miniature. In total the board tiles and player sets were worth a total of 40 towards my annual total. The year is almost over. 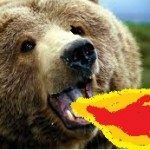 I’ve set up a 2019 thread over here for more pledges. Only 7 more weekends left for us to hit our goals and some of those will be eaten up by Christmas. I should hit my target and I see a lot of people close to theirs too. Good work, everyone! Lets see just how green we can make that chart before 2019. ….. and done all set goals by the 17th November 2018. …. A lot longer than I expectedbut this has been a bumper year for painting for me …. I got diverted on four seperate occassions by new stuff coming out but still managed to complete everything I pledged. Damn you, @beardragon14 you beat me to finish! 😉 Well done getting it all done. i’m still working on my last project for 2018, but it overlaps with starting my 2019 pledge so I’ve started work there too. I also started the prep work for a 2019 project last night too. It helps to be prepared. Having a plan for the year and trying to stick to it can really help make progress, and to focus where you actually need it. Glad to see its been helping people. 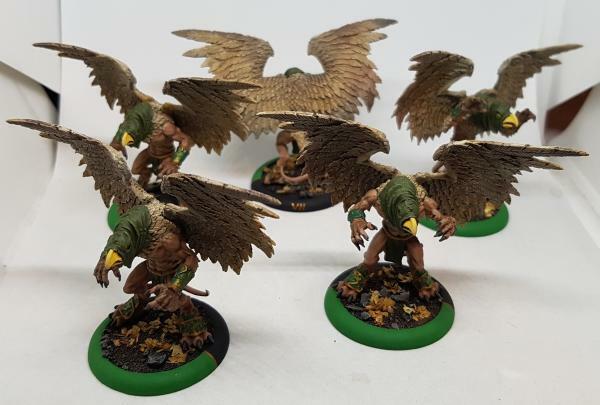 Five more Scarsfell Griffons for Hordes painted. That’s my 2018 pledge finished at last and I even got a model done towards my 2019 pledge while I’m at it. I’ve finally made it. With a couple of weeks to go I’m currently on 372 completed paint jobs. I’m not totally done with the pledges as there are still 13 Mythic Battles Pantheon left but I’m sure I’ll get them polished off before the year is out. I’m confident of busting through the 400 barrier by the end of the year as I’ve got some bits to finish off for Christmas presents. This would be a big improvement on my best ever year where I finished on 374. Sorry for the lack of photos. If there is a quiet several hours I may post some of the ones I took through the year or perhaps do a group shot of MBP when thay are all done. 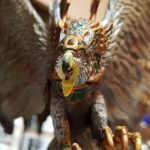 So with a few hours left I have completed the main objective for 2018’s Pledge – I’ve finished all of the Mythic Battles: Pantheon. I also got through some other bits for Christmas presents and have a final total for the year which stands at 428 miniatures. This exceeds my highest ever completed miniatures total of 374 which was the total for last year. I’ve thoroughly enjoyed working on my miniatures and terrain and thanks to everyone in this pledge group for your support and encouragement. Looking forward to continued progress with you all in the 2019 Hobby Pledges. MB: P by itself is an epic achievement, but 428 minis is amazing. I’d love to get that many done. 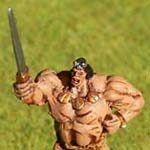 I dropped down to 320 minis in 2018 from around 340 for the past 2 years. Thanks @lawnor I’m very happy with the final total for the year. Whilst the quality isn’t amazing on some of MB:P using the short cut techniques I have learned here on BoW I am quite impressed with many and all look great in the game context. Anything over 300 is very impressive and the quality you consistently deliver is excellent. We should be very pleased with such amazing progress over a number of years now. This is my fourth year over 365 minis and that puts me streets ahead of what I used to get done. Not making much of a dent in the mountain but at least I’m outpacing new acquisitions. That the best any of us can really hope for. A net decrease in unpainted plastic while still buying more. I’m really happy to see people saying this has helped them. We might not all have hit all of our goals, but progress and improvement is something to be happy and proud about. Now pick up a brush and get back to work! There’s only 361 days left to hit your 2019 goals!